(b. 1942) – American writer, journalist, historian and lecturer, Graduated from Harvard in literature and history. He has been active as a human rights activist since his student years, He is a co-founder of „Mother Jones” magazine, and a regular contributor to „The New Yorker”, „Harper’s Magazine”, „The New York Review of Books” and other magazines. He has authored eight books on history. Three of them were published in Polish: Duch króla Leopolda. Opowieść o chciwości, terrorze i bohaterstwie w kolonialnej Afryce (2012), Pogrzebać kajdany. Wizjonerzy i buntownicy w walce o zniesienie niewolnictwa (2016) and Lustro o północy. Śladami wielkiego Treku (2016). 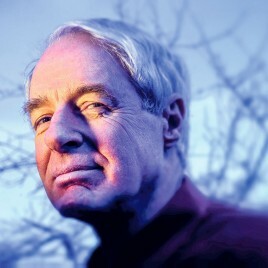 Many times award-winning for his works, including two golden medals awarded by the Californian Book Award, the American PEN Club Award for the best non-fiction book, the Dayton Literary Peace Prize and the Theodore Roosevelt and Woodrow Wilson Award for lifetime achievements awarded by the Association of Historians. Since 2014 a member of the American Academy of Art and Sciences.